Amendment 3: What’s behind the Florida gambling fight? The words on the November ballot appear simple enough: "Voter Control of Gambling in Florida." According to proponents of Amendment 3, it's not much more complicated than what the ballot title proclaims. But the proposal's foes — including dog and horse tracks, NFL teams and sports-betting firms FanDuel and DraftKings — say a "yes" vote for the proposed constitutional amendment would shut the door not only on expanded gambling in the Sunshine State but on games Floridians already enjoy. Amendment 3, placed on the ballot by a political committee largely backed by Disney Worldwide Services, Inc. and the Seminole Tribe of Florida, would give voters the "exclusive right to decide whether to authorize casino gambling" in the state. The change, if approved by 60 percent of voters, would require statewide approval of casino-style games, such as slot machines, in the future. Such decisions are now largely controlled by the Legislature. The high-dollar fight over Amendment 3 has pitted the Seminole Tribe — who now has exclusive rights to operate casinos with Las Vegas-style card games, such as blackjack — and Disney — which has long opposed the expansion of gambling in Florida — against pari-mutuels and out-of-state betting operators. "Voters In Charge," the committee behind the ballot initiative, has spent more than $31 million on the effort. Proponents of the measure, such as the committee's chairman, John Sowinski, are using voters' distrust of politicians and "special interests" to shore up support for the constitutional change. "This comes down to, who do you trust: the voters or the politicians and the gambling lobbyists?" Sowinski told The News Service of Florida in a recent telephone interview. "Their burden is to suggest with a straight face that things are better in the hands of politicians and the lobbyists who contribute to them and who influence them." Meanwhile, two groups trying to kill the proposal — "Citizens for the Truth about Amendment 3" and "Vote No on 3" — have raised a combined $8 million since forming in late July. The anti-Amendment 3 groups are backed largely by pari-mutuels and "racinos" — South Florida pari-mutuels that have slot machines — along with firms such as FanDuel and DraftKings. "It's really the fundamental loss of local control that bothers people, more so than any specific game or anything," Isadore "Izzy" Havenick, whose family owns pari-mutuels in Miami-Dade County and Southwest Florida, told the News Service. "People in Pensacola shouldn't be telling people in Miami-Dade County what they should do. And conversely, people in Miami-Dade County shouldn't be telling people in Pensacola what they should be doing." The constitutional effort comes after the Republican-dominated Legislature has repeatedly failed to agree on sweeping gambling packages in recent years. Among the issues that lawmakers have grappled with is whether to authorize slot machines in eight counties — Brevard, Duval, Gadsden, Hamilton, Lee, Palm Beach, St. Lucie and Washington — where voters have approved the machines in referendums. Legislators also have not gone along with pitches from national and international casino operators for "destination resorts," swanky retail, lodging and gambling combos that proponents maintain could boost the state's economy and deliver numerous high-paying jobs. Unlike states like New Jersey and Mississippi, Florida also hasn't taken advantage of a U.S. Supreme Court ruling that struck down a federal ban on state-sanctioned sports betting. The Supreme Court decision cleared the decks for states to allow gamblers to legally bet on professional and collegiate sports teams, similar to what has been allowed in Nevada. Approval of the constitutional amendment in November could cause Florida to lose out on millions of dollars from sports betting, incoming state Senate President Bill Galvano told the News Service. Illegal sports betting has long taken place in Florida and across the country. The U.S. Supreme Court's May decision "provides an opportunity for us to regulate and capture revenues from an activity that is currently going on in the state of Florida," said Galvano, a Bradenton lawyer who's been a chief legislative negotiator on gambling issues for nearly a decade. "The revenues are substantial. If Amendment 3 is passed, we'd lose that opportunity and we're hamstrung," Galvano said. But Sowinski contradicted the Republican leader. "It doesn't mean it's prohibited," Sowinski said. "It means that, if it's casino gambling — and sports betting is casino gambling, under the federal law — it's voters that have the last say on it, not politicians and lobbyists." Critics of the proposed constitutional amendment counter that entities with deep pockets, like the Seminole Tribe, will spend big bucks to kill any sort of gambling expansion. 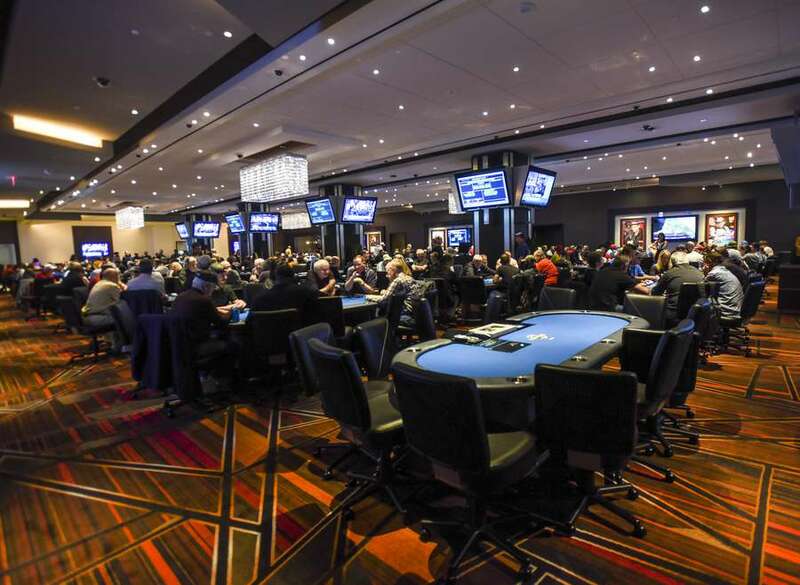 If it passes, the amendment could also put an end to the popular and controversial "designated player" card games offered by pari-mutuel cardrooms. The lucrative games have been at the heart of a legal dispute between the state and the Seminoles, who pay the state at least $250 million a year in exchange for the exclusive rights to operate "banked" card games, such as blackjack, at the tribe's casinos. A federal judge sided with the tribe in the clash over whether designated player games breached the Seminoles' exclusive rights to offer banked card games. After that ruling, the Seminoles agreed to continue make payments to the state, and gambling regulators promised to "aggressively enforce" the manner in which pari-mutuel cardrooms conduct the designated player games. "Amendment 3 will clearly eliminate designated player games in cardrooms throughout the state of Florida. Period," Jamie Shelton, president of pari-mutuel bestbet Jacksonville, told the News Service. Like Havenick, Shelton argues the amendment would eliminate "local control" of gambling. But decisions about thorny gambling issues now are largely in the hands of the Legislature. "We're dealing with an industry and an issue that is constantly morphing and changing. And without the ability to address it legislatively and the agility that that requires, you're going to create real problems within the state of Florida, and you'll end up creating a monopoly for the Seminole Tribe," Galvano predicted.